and other types of cells. Transplanting pure cardiac muscle cells into a patient affected by heart disease is the ultimate goal for many cardiology researchers working on stem cells. A pure population of cardiac muscle cells is essential to avoid tumor formation after transplantation, but creating one has been technically challenging. Now, researchers at Emory and Georgia Tech have described a new method for purifying cardiac muscle cells from stem cell cultures using molecular beacons. The study was published in the Circulation journal. Molecular beacons are tiny "instruments" that become fluorescent only when they find cells that have acticated certain genes. In this case, they target instructions to make a type of myosin, a protein found in cardiac muscle cells. Doctors could use purified cardiac muscle cells to heal damaged areas of the heart in patients affected by heart attack and heart failure. 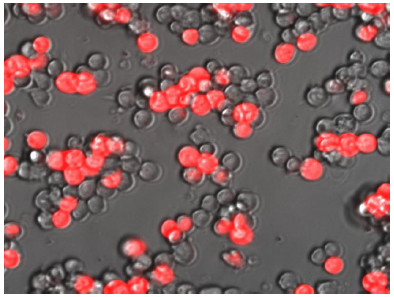 In addition, the molecular beacons technique could have broad applications across regenerative medicine, because it could be used with other types of cells produced from stem cell cultures, such as brain cells or insulin-producing islet cells. 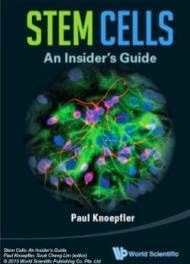 "Often, we want to generate a particular cell population from stem cells for introduction into patients. But the desired cells often lack a readily accessible surface marker, or that marker is not specific enough, as is the case for cardiac muscle cells. This technique could allow us to purify almost any type of cell." said co-senior author Young-sup Yoon, MD, PhD, professor of Cardiology and director of stem cell biology at Emory University School of Medicine. The research team cultured stem cells with growth factors, which induced them to differentiate into clumps of spontaneously beating cardiac muscle cells. The experiments used embryonic stem cells or separately, induced pluripotent stem cells, from either mice or humans. For human cells, it takes about two weeks for cardiac muscle cells to form in large numbers. Molecular beacons home in on messenger RNA produced by particular genes. The molecular beacons are designed to become fluorescent only when they find messenger RNA with the right genetic sequence. Using molecular beacons together with a flow cytometer, which sorts cells based on fluorescence, allowed researchers to pick out the cardiac muscle cells. The purified cells could engraft into the damaged hearts of mice after a simulated heart attack, and the graft improved the heart's pumping power (ejection fraction). Recovering animals that received no cells had their ejection fraction fall. When unpurified cells were grafted into mice, all the mice developed teratomas: tumors derived from the stem cells. Note: only mouse stem cells were transplanted into mice. An important next step for developing purified cardiomyocytes as a therapy for heart diseases, Yoon says, is to engineer them into artificial tissues. "In previous experiments with injected bare cells, investigators at Emory and elsewhere have found that a large proportion of the cells are washed away. We need to engineer the cells into compatible biomaterials to enhance engraftment and retention." he says.